With only a couple of weeks to go before MapleStory 2 makes its big debut in the west, it is all hands on deck at Nexon. The studio’s cheerful devs have a lot to communicate about what’s coming with the MMO sequel’s release, starting with a FAQ that walks fans through the head start period that begins for founder’s pack owners on October 1st. Nexon did note that head start players need to reserve names before the 1st or else will have to wait until October 10th to create new characters. Six character slots will be given to all players, free or founders, with more available to purchase from the store. Speaking of the store, a producer’s blog on monetization covered what the game will and will not sell. Some of the big no-nos include statted gear and paying to revive on the spot. 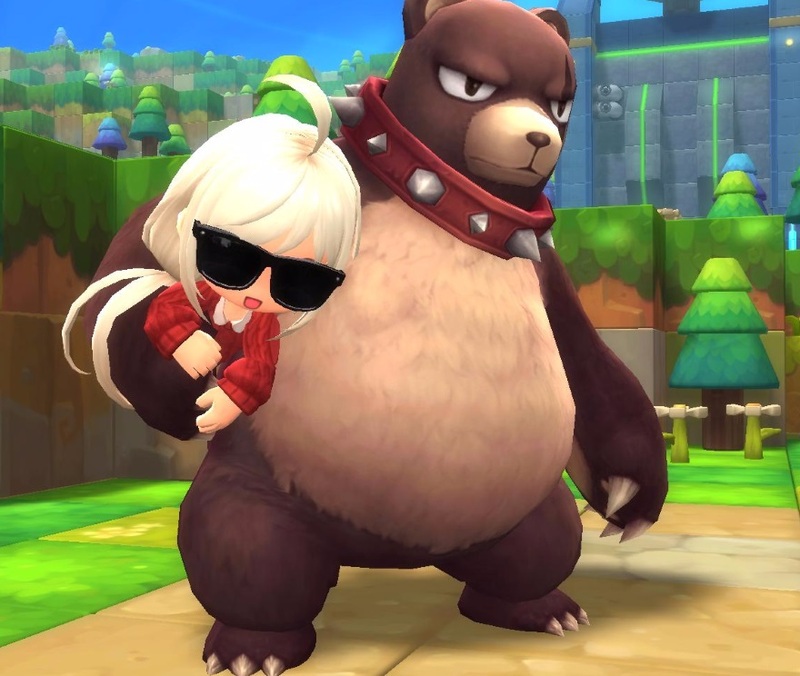 “We’re working really hard to make MapleStory 2 the right free-to-play game for most people,” Nexon said. What will be sold in the shop includes cosmetics, convenience items, player-designed items, a Premium Club, and (of course) lockboxes, or “style crates.” Also, we totally want a bear mount where he stands on two legs and carries us in his fuzzy arms. Does anyone know if it is going to have crafting and if it will have the traditional lame korean mmo route of crafting/gathering that has an exhaustion meter? Nothing frustrated me more than not being able to craft/gather because my character was “tired”. He wasn’t too tired to grind mobs though… and you could restore stamina by buying a potion from the cash shop. Looking at you with evil eyes Archeage.